10 " Welding Water Well Screen ,Wire Wound Screen Water Screen is manufactured by a v or wedge shaped wire around an internal array of longitudinal support rods.Each intersection point of these wires is fusion welded. The Vee or wedge shaped profile wire wraps around the support rods over the full length of the screen creating a continuous slot opening,hence the screen allows water (oil) to enter your well freely in ample quantities,while at the same time keeps the majority of sand and gravel out of the well. 10 " Welding Water Well Screen ,Wire Wound Screen Water Screen is popularly used in making of water well screen. 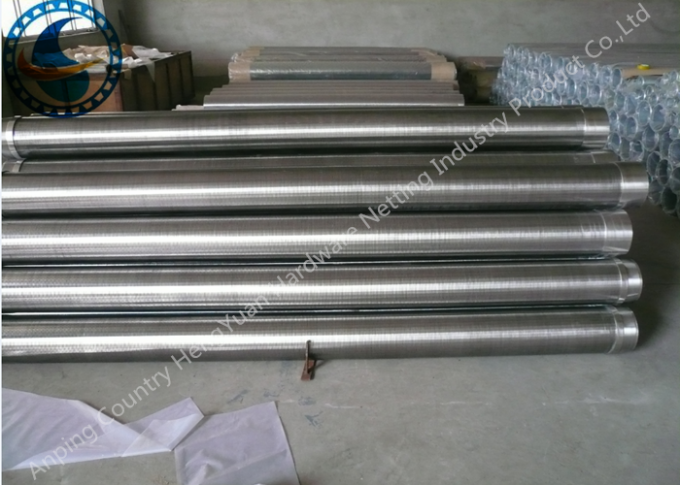 Stainless steel gravel pack screen pipe is made up of supporting rods and wire screening strips. The supporting rod can be round wire, triangular wire or trapezoid wire. The screening filter is made of triangular wire (V-shaped wire). 2. Large Filtering Area:The consecutive slot of wedgewire screens (Johnson type screens )have wider open area. so it cab controlsand better. Which can increase the water yield and pro-long service time of the well. 3. 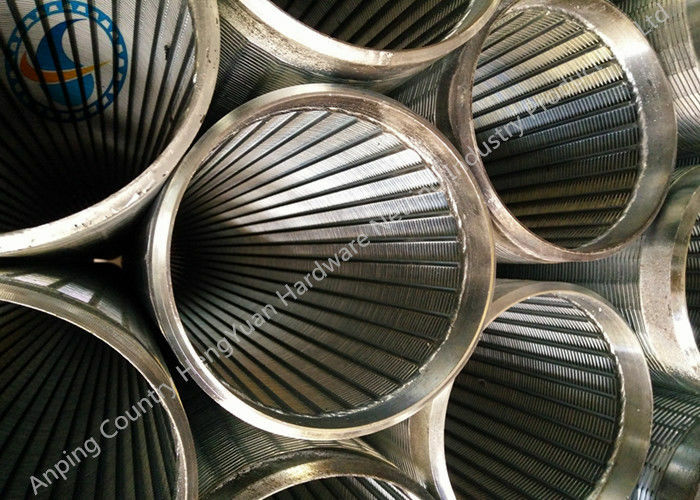 Long service life wire and support rods are all-welded ,which makes wedge wire screens (Johnson types screens )more robust and longer life. 4. Excellent construction strength.The longitudinal support rods and the continuous slot make the wedge wire screens (Johnson type screens )have more excellent pressure-resistant performance.